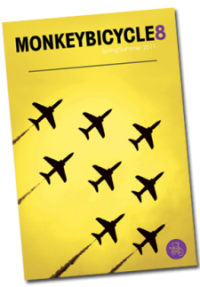 Our latest issue is filled with stories and poems from 29 of the most amazing authors we’ve had the pleasure to publish. Topics range from space shuttles to pygmy mouse lemurs. And there’s even a writer who can’t read. So pick up a copy and make your summer reading an eclectic delight. 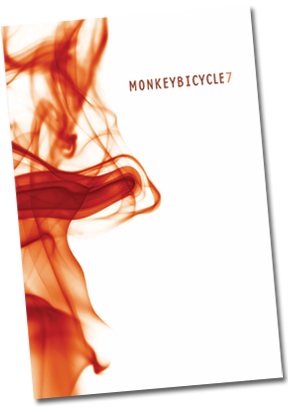 With stories and poems from 22 groundbreaking authors, Monkeybicycle8 is sure to please. Featuring cinema stars, cave-dwelling hermits, imaginary monsters, Internet hookups, and so much more, this issue packs a mighty wallop. 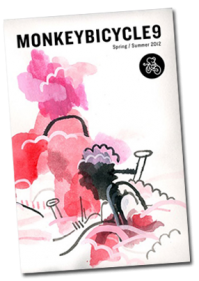 Issue seven of Monkeybicycle is sure to please even the most fickle of readers. From humor to poetry, nonfiction to fantasy, and everything in between, it’s got something for everyone. 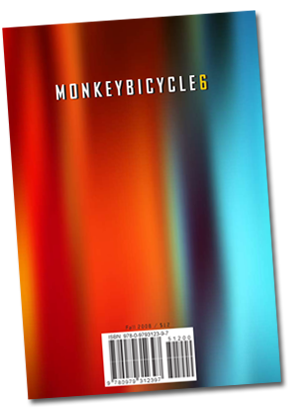 In this issue we move back toward the traditional style of fine literature that we so recklessly abandoned for issue five. Loaded with dozens of incredible stories and poems from the likes of Ryan Boudinot, Kim Chinquee, Curtis Smith, Laura van den Berg, as well as so, so many more, this book is for you. 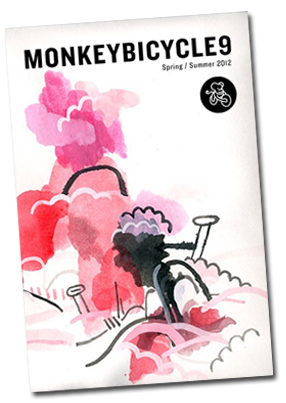 Monkeybicycle5 is not for the faint of heart. 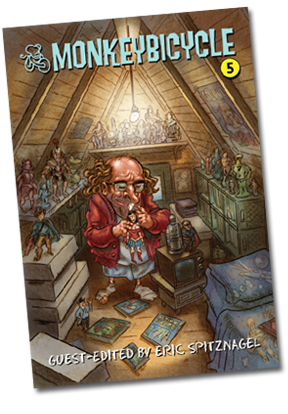 It’s a book to break out after you’ve put the kids to bed, despite the comics in it. Filled with a lot of crazy, sometimes-blue humor from funniest people around, it’s a great read if you’re old enough to vote. 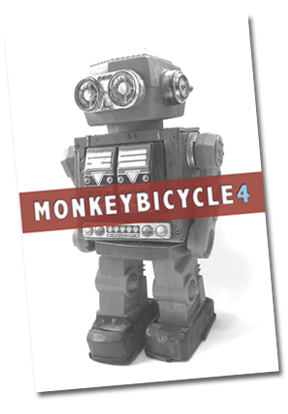 Issue four of Monkeybicycle is unique for us in that has a short story collection built right in. A handful of wonderful authors came up with the idea to collectively create a series of tales that tie together into one incredible work of literary art. There are also solo works from some of our favorite writers.